The De La Salle Old Collegians Amateur Football Club are pleased to announce the appointment of Peter Schwab as Senior Coach for the next three seasons. President Brian Waldron said the Club is thrilled to attract someone of Peter’s reputation and experience to the Club. “Peter has an outstanding football resume. He is a three-time AFL Premiership player who joins us with extensive coaching and management expertise within the AFL and multiple AFL clubs. Assistant coaching roles at Richmond and Hawthorn, Senior Coach of Hawthorn (five seasons including two finals series), CEO of AFL Victoria, Director of Coaching at the AFL, Talent Manager for the Brisbane Lions AFC, and the National Head of Umpiring for the AFL. We are thrilled to be working with Peter in taking the club forward,” Waldron said. Peter is not a new face around the Club, and is well known to a number of players having facilitated the club’s Leadership Program in 2016. We look forward to welcoming Peter, his wife Jenny and their family back into the De La community. 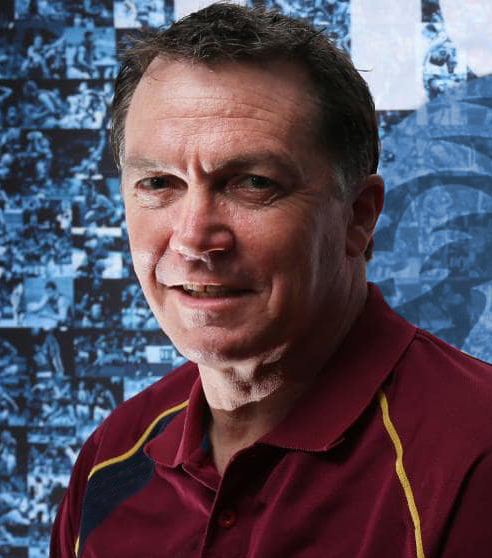 Importantly Peter will also have a connection with De La Salle College where he will oversee the School’s AFL program. He is a qualified teacher and his involvement will be of tremendous benefit for all involved with the School and our under-age program at the club. We now turn our attention to recruiting the remaining coaching positions within the Senior coaching staff, and the all-important task of retention and recruitment of players.